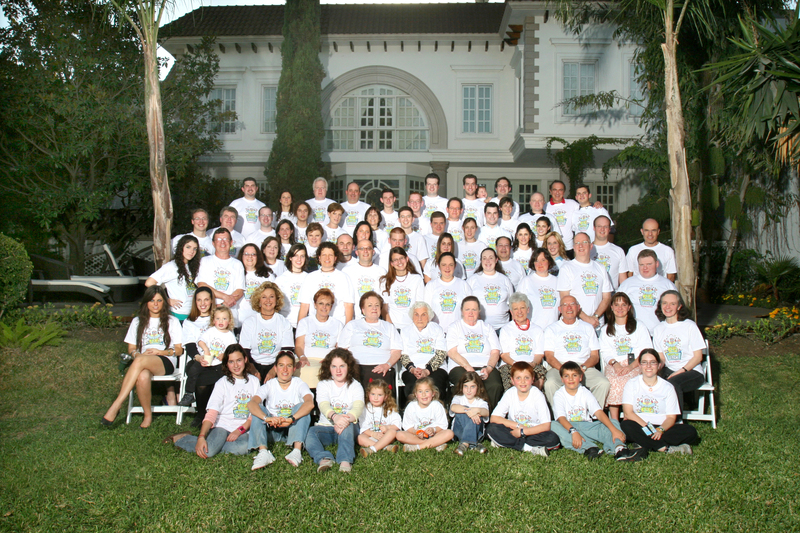 I was in Monterrey last weekend for the first (and so far only) Zack family reunion. The Zacks are my maternal grandmother’s family. We’re spread across three countries (which is not a lot, come to think of it). Most of us made it, starting from my great grandmother Bobe Sonia (who just turned 95) all the way down to 2 great-great grandchildren (the third one was born last week and could not make it). I think a total of 74 out of 83 Zacks came. The whole weekend was great. Lots of eating, stories, eating, laughing, and eating. I made my debut as a game show host. I did ok. People laughed whenever I danced, I could make fun of them on a microphone and I got to wear a tuxedo. While I’ve seen most of the family in the last years, there were a few I hadn’t in a long time (almost ten years!) and four of the newest members of the familyI hadn’t even met before. Moi collected all the digital photos from all the cameras. 1400+ total. I copied them to my computer and I’m supposed to sort them out and delete the duplicates (which is a vast majority of the pictures) so we can upload them to an event website we’re setting up. Unfortunately, my own memory card got corrupted and I lost most of my photos (I recovered only about five using a $20 utility called CardRaider – which is not great at all). Most people never erase photos from their cameras. Most people never set the date and time on their cameras. This make my life harder. Everyone takes the same photo from slightly different angles at the same time, which leads to 10 identical terrible photos in which everyone is looking at a different camera lens. I’ll post a link here whenever it’s ready. But I doubt it will be this week. It was great seeing everyone! (except you-know-who). Update 12/18/2007: The website is up and has all the photos. Y pensar que con un par de visitas a Monterrey yo alcancé a conocer a un porcentaje nada desprecieable de ellos. ¡Que familión!.